The evil wizard Grindelwald (Johnny Depp) has escaped. He and his followers have come to Paris searching for Credence Barebone (Ezra Miller), the dangerously powerful young man with a demonic force lurking inside of him currently in France trying to discover who his birth parents are and why they gave him up for adoption. The Ministry of Magic is also looking for Credence, and they want magizoologist Newt Scamander (Eddie Redmayne) to be the one to find him as he was there in New York two years prior and witnessed the destruction and damage he can cause firsthand. But he knows they want him to kill the boy, and that is something Newt simply will not do. He believes Credence can be saved from his self-destructive tendencies, and if the Ministry isn’t open to that possibility he isn’t going to help them find him, even if it is his own brother Theseus (Callum Turner), a high-ranking government official, asking him to do so. None of which means the animal-loving wizard is going to sit on the sidelines and watch what happens from afar. 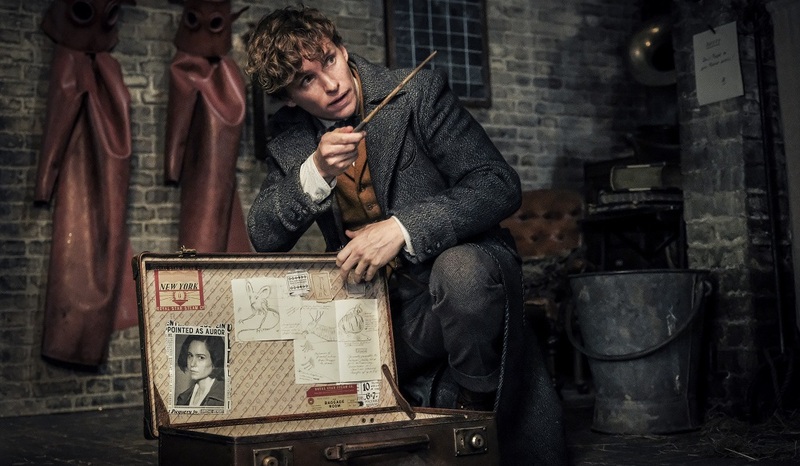 Urged into action by his former Hogwarts professor Albus Dumbledore (Jude Law), Newt heads to Paris with his not-so-memory-wiped American muggle friend Jacob Kowalski (Dan Fogler) along for the ride. Jacob is hoping to find the love of his life Queenie Goldstein (Alison Sudol), the previously inseparable duo at romantic odds for seemingly the first time. She in turn is trying to find her sister Tina (Katherine Waterston), and the last the bubbly mind-reading sorceress knew her sibling was in France attempting to prove Credence isn’t the threat the Ministry thinks he is. The second chapter in a proposed five-film series, Fantastic Beasts: The Crimes of Grindelwald is even more complex and convoluted than that two-paragraph synopsis makes things sound. We get flashbacks detailing Newt’s and former girlfriend Leta Lestrange’s (Zoë Kravitz) student days at Hogwarts. We’re introduced to mysterious French wizard Yusuf Kama (William Nadylam). We’re given insight into Dumbledore and Grindelwald’s complex history and why it is they can’t directly attack one another. We’re told Newt and Tina are at odds because she erroneously believes he’s going to be married to Lita when instead it is his brother she is engaged to. We’re allowed to follow Credence on his journey to discover who he is, taking solace in the arms of kindhearted shapeshifter Nagini (Claudia Kim), a woman tragically doomed to someday be stuck as the giant snake she can transform herself into. Finally, there are the reasons behind Jacob and Queenie’s troubles, the two of them agreeing that they are desperately in love but at odds where it comes to the subject of whether or not they should get married. That’s a lot of stuff to keep track of, screenwriter and Harry Potter impresario J.K. Rowling crafting a story so overflowing in material it’s easy to lose track of who is who, what is what and why anyone is doing whatever it is they are currently engaged in accomplishing at any given moment. The problem is that none of it matters. It’s all prologue, setting the stage for events to come in other movies scheduled to be released over the coming years. 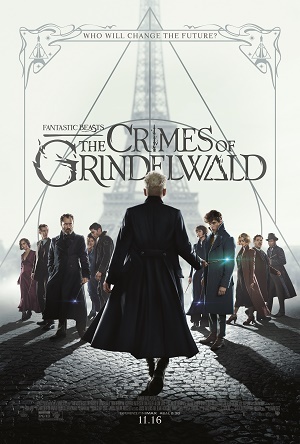 The first two-thirds of this 134-minute fantasy is superfluous as far the core central narrative is concerned, meaning that it is really hard to feel like this latest jaunt into Rawlings’ wizarding world stands on its own outside of either the Fantastic Beasts features still to come or the eight original Harry Potter adventures that have already been released. In fairness, the last third of the film is fantastic. Rowling manages to bring almost all of her characters together for a spectacular showdown that’s more impressive for its intelligent restraint than it is for its eye-popping spectacle. There’s real storytelling here, almost all of it affecting these various heroes and villains in a fundamental way. 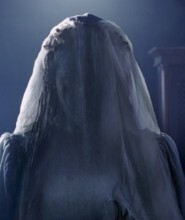 This sequence also allows Rowling to dig into profound concepts regarding gender, race, politics and social justice that are intriguing, and if the rest of the film had been interested in dealing with these topics, even in passing, it’s doubtful I’d have been as annoyed with this sequel as I ultimately ended up being. But that’s not the case. Rowling and returning director David Yates, who after helming six of these Harry Potter related spectacles should start thinking about passing the baton to someone else, throw a couple of their most interesting female characters under the bus and then repeatedly run over them again and again until they’ve basically been flatted so completely they become a part of the 1927 Parisian asphalt. In the case of Leta Lestrange, they take this story’s most fascinating new character and treat her like an emotionally battered afterthought. Worse, the talented Kravitz throws herself completely into her performance, going above and beyond to give the woman life. But it’s all for naught as the story looks at her as nothing more than a giant red herring who only exists to move the plot forward for the primary male characters, a victim of psychological and physical abuse sacrificed at a patriarchal alter I found a little unseemly to say the least. Then there is Queenie and Jacob’s relationship. While I have no issue, no matter who heartbreaking it might appear, where Rowling ultimately takes things between the two, I do have serious reservations about what she does to them in order to get the pair standing at opposite ends of a romantic crossroads. In my opinion the two most likable and interesting characters introduced in Fantastic Beasts and Where to Find Them, this story destroys the emotional affinity I had for them mere moments after they’re both reintroduced into the narrative. It is Queenie who is treated most egregiously. The actions she takes, what she does, all of it so completely out of character based on what we learned about her in the first film I found these immediate revelations to be borderline insulting. I hated this twist, so much so I came close to turning on the sequel barely 30 minutes in, the disgust I felt at the way this woman was being treated likely obvious to all of those sitting around me at the screening. I get why Rowling does this. I understand from a dramatic perspective why she wanted to add a few speed bumps to Queenie and Jacob’s love affair. Yet I feel she could have got the duo to exactly where she wanted them to be by the climax in ways that didn’t seriously emotionally assault one of her primary female leads in the process. It’s a disservice to the character, a bigger one to the talented Sudol portraying her and an even more massive one to the audience that spent so much time emotionally investing in her over the course of the last film. It’s a bizarre turn of events that is frankly cruel, and for the life of me I just can’t figure out why Rowling or Yates felt treating Queenie in this manner would be anything close to a good idea. Again, I do understand why the filmmakers wanted to create this discord. That’s how dramatic fiction works. You take characters, throw them passionately into one another’s arms and find a reason to break them apart before finally getting them back together in a way the audience will hopefully madly swoon over when it happens. But this movie, the ways in which it does these sort of things to its characters, it debases and devalues them to the point redemption might not be possible. It’s a callous, perplexingly frustrating way to tell a story, and for large portions of the feature I sat scratching my head in appalled disbelief. It all still looks and sounds spectacular, James Newton Howard’s (Red Sparrow) score, Philippe Rousselot’s (A River Runs Through It) cinematography, Colleen Atwood’s (Tomb Raider) costumes and Stuart Craig’s (The English Patient) production design all exemplary. I also feel that Law is an inspired choice to portray the younger incarnation of Dumbledore, his delighted joy adding a clever levity to the proceedings I couldn’t help but love and I definitely can foresee a scenario where he becomes more and more of a central figure as these stories progress. It’s still all for naught, Yates’ tired and lackadaisical direction not exactly helping matters. While the filmmaker does rouse himself to full strength during the climax, producing a finale that’s certainly more interesting and emotionally arresting than anything else the movie has to offer, it’s just not enough. 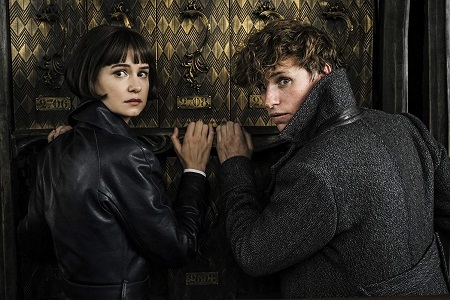 Fantastic Beasts: The Crimes of Grindelwald lacks the sense of magic and mystery Rowling’s wizarding world has been noted for since its inception, and not even the divine trinity of Harry Potter, Ron Weasley and Hermione Granger would be powerful enough to make me believe watching this sequel could be anything close to worthwhile.